Ask the Lawyer: Isn’t everyone supposed to get at least minimum wage? WORKING SO MANY HOURS ON SALARY, I’M NOT MAKING MINIMUM WAGE! QUESTION: Back in November, I started a new job handling social media for a small firm. I was told I’d be on salary, and that I might have to work a few extra hours at times. Since November, my job duties have mushroomed, and I’m now working so many hours, I’m not even making minimum wage some weeks! Isn’t everyone supposed to get at least minimum wage? If you are truly an “exempt” employee – the Department of Labor’s term for salaried – you are “exempt” from laws that require a business to pay overtime and to pay a minimum wage. However, not all employees who are classified as exempt and are on salary should be receiving that classification. The Fair Labor Standards Act allows employers to get out of paying some professional and managerial staff overtime and a minimum wage if the employees meet certain criteria and are paid at least $23,600 per year. That amount was supposed to rise to $47,476 per year in December 2016, but the Department of Labor rule increasing the minimum salary was put on hold when a U.S District Court in Texas issued a nationwide injunction barring implementation of the rule. The Trump Administration seems willing to let the Texas ruling stand. If you are properly classified as an exempt employee, your choices might be limited to staying on the job and accepting the heavy workload, or finding a job elsewhere – or even resigning. Caution, if you resign from a job, it may be viewed as a “voluntary quit” by the Unemployment Insurance Agency, making you ineligible for unemployment. Where the terms of your employment have changed dramatically (many more hours than promised, home office moves 50 miles away), you may be able to resign and still receive unemployment benefits. If you believe your employer is violating the law and misclassifying you as an exempt employee when you should be hourly, you may want to report your concerns to the Department of Labor. If an employer takes action against you for reporting your concerns, you may be able to file a claim against the employer under the Whistleblower Protection Act. An experienced attorney may be able to advise you on the best course of action. 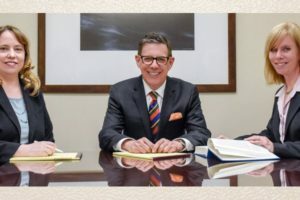 The lawyers at GWINN TAURIAINEN PLLC are experienced attorneys and are happy to answer your questions. Give us a call for a free initial telephone consultation about your legal needs. For consideration of your questions in our web column, please submit your inquiry on the “Contact Us” page of our website at www.gwinntauriainenlaw.com. Information provided on “Ask the Lawyer” is current as of the date of publication. Laws and their interpretation are subject to change. The material provided through “Ask the Lawyer” is informational only; it should not be considered legal advice. Submitting a question to “Ask the Lawyer” does not create an attorney-client relationship between the person submitting the question and GWINN TAURIAINEN PLLC. To view previous columns, please visit our website. Ask The Lawyer, WE CAN BE THANKFUL THAT THE LAWS THE PILGRIMS ENACTED ARE NOT AROUND TODAY! Ask The Lawyer: “TOO FAT” TO PERFORM JOB? Ask The Lawyer: SPECIAL EDITION FOR PARENTS AND STUDENTS: WHAT’S YOUR OPINION? Ask the Lawyer, Prayer at Work?